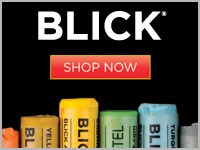 Blick Art Materials is a family owned business and a premier art supply source for professional artists, students, and teachers. What I really like about the site is that it offers hundreds of printable lesson plans and video workshops for teachers … um hmmm, for FREE! Yayy! Lessons can be sorted by grade level and discipline. Check out the Multicultural Lesson Plans – really wonderful resource for country unit studies/Geography!